Dr. Zhenpeng Qin is an Assistant Professor in the Department of Mechanical Engineering at The University of Texas at Dallas. 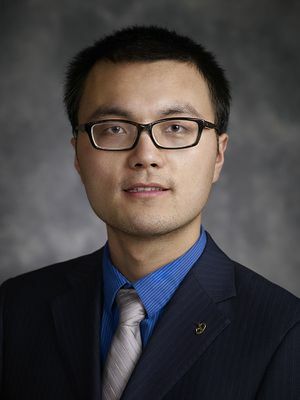 He received his PhD at University of Minnesota (2014), a MS in Mechanical Engineering from University of Akron (2009), and BS in Thermal and Power Engineering from Xi’an Jiaotong University (2007). His research interests center on the fundamental understanding of multiscale interactions between nanoparticles and biomolecules (proteins and lipids) and applications of this knowledge to diagnostics and therapeutics. He received multiple fellowships and conference travel awards including the Interdisciplinary Doctoral Fellowship (2012-2013) & Doctoral Dissertation Fellowship (2013-2014) from the University of Minnesota, and Bill & Melinda Gates Foundation travel award from American Society of Tropical Medicine and Hygiene.